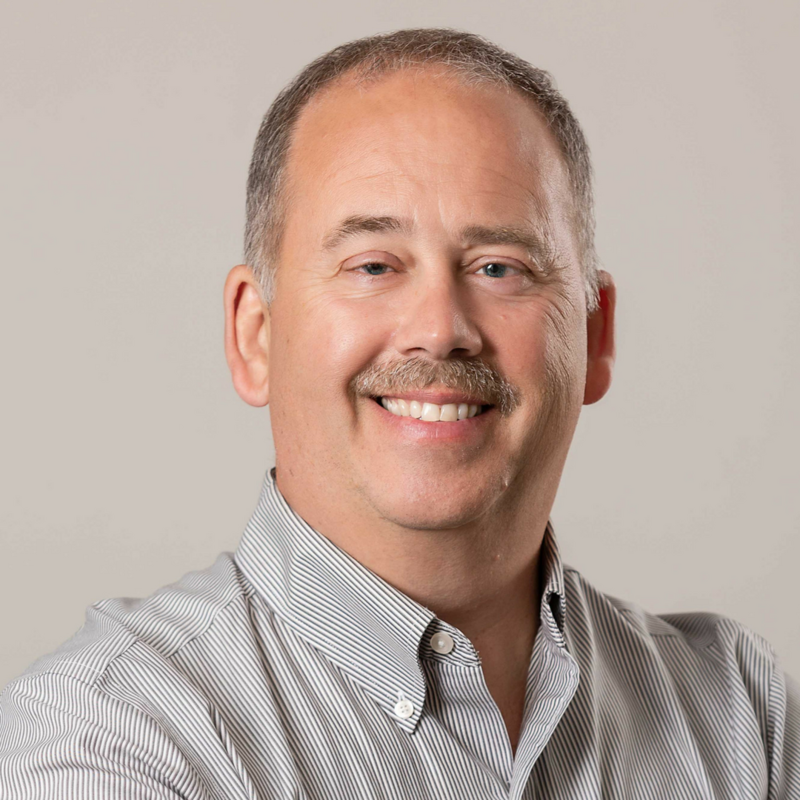 In case you missed it, we recently hosted a webinar on everything you need to know about ANSI Z385.1. We had a record-breaking number of people who joined us and, as you can imagine, a huge volume of questions came our way during the online event. While we tried to cover as many questions as we could during the webinar (you can access the live recording of it here), I’m back on the blog today to finish answering some of your most frequently asked questions. Q: If wood dust is the only exposure, is an eyewash required? A: Yes. Anytime there are particulates in the air that would call for PPE, there needs to be an eyewash present. Particulates can irritate the eye and lead to more damage if they are not removed promptly. Q: Is there a disinfecting routine needed for eyewash stations? A: Using normal cleaning agents on your emergency eyewash station is okay, but always thoroughly flush the system afterwards to ensure that there are no lingering substances that could cause injury to the eyes/face of the next user. Dust covers are a good solution to protect the units’ heads from dirt, dust and bacteria between cleanings. Weekly activations (which are part of the ANSI standard) will also clear the supply line of any sediment buildup and minimize any microbial contamination due to stagnant water. Q: Can personal eyewash bottles (squeeze bottles) be used as an eyewash? A: Having squeeze bottles handy is always a great idea but they are not an alternative to performing a full, 15-minute flush. If the SDS for your chemical hazards require an eye flush in the case of contact, a primary eyewash station must be located within 10 seconds of the hazard. Q: Can eyewash bottles be refilled with distilled water? A: No. The seal of an eyewash bottle serves an important purpose of keeping bacteria out. Even if you use distilled water, you’re at risk of cross contamination which can expose the user to infections. Q: I work in a remote area in Canada with no water supply. What are my options? A: Portable units are a great solution for those who work in the field or do not have access to a water supply line. Another great option which provides superior decontamination of chemicals is Diphoterine® solution which is completely portable and adaptive to remote areas. Learn more about it here. Q: How do I perform tests on portable equipment? A: Similar to plumbed equipment, portable equipment must be tested every week. However, since there is less water and time to work with, a visual inspection will suffice. Open up the equipment and ensure that it has a full 15-minutes’ worth of water left (hint: there’s a mark to show you!). Q: During the weekly test, do you have to activate both the shower AND eye/face wash? A: Yes! Both must be activated. As a general statement, all equipment needs to be inspected weekly to ensure that there is a flushing fluid supply and that the equipment is in working order. Q: Are sink-mounted units compliant? A: Yes. This is actually a common practice. The Haws eyePOD is the only faucet-mounted eyewash available on the market that is third-party certified by CSA to meet the ANSI Z358.1 standard which states that the unit must “go from ‘off’ to ‘on’ in one second or less”. Its thermostatic shutoff valve also prevents scalding. While it’s considered a “supplemental” piece of equipment, it should be treated the same as any other plumbed emergency shower solution and be tested weekly and annually. Q: Do all the units have to be tempered? I have old units that have been installed for years and the new temperature regulations didn’t apply back then. A: There is no grandfather clause to the ANSI Z385.1 standard which means that all of the water coming out of emergency washing units must be tepid (16°C – 38°C or 60°F – 100°F) in order to meet the 2014 revision. Haws does offer various upgrade kits which help bring older units up to code without complete replacement of existing equipment. Ask your local Levitt-Safety rep for more information. Q: Is a floor drain required? A: There is nothing in the ANSI standard requiring drainage; this question would be answered by your local plumbing codes. Q: Our water is sourced from a dependable direct water supply, not a tank. Why should we flush water for 15 minutes when conducing our annual inspections? A: Even if your water is being supplied from a local source, it’s vital to flush your emergency washing systems for 15 minutes to help remove build up in the pipes. Bacteria can build up over time if a water source goes undisturbed. Q: I work in a cold, Canadian climate. What can I use to control the temperature of the water? A: It used to be hard to accomplish tepid water for emergency washing equipment, but lucky for us technology has come a long way. Instantaneous heaters and thermostatic mixing valves can pump out water in a stable and tepid temperature. Q: Can I perform the annual testing or does it need to be done by an external contractor? A: You can, however there’s a lot that goes into performing a thorough, annual test and it can be a time-consuming process. Having a certified third party perform annual inspections takes the hassle off you and ensures you are compliant to provincial standards. You can start the process and book your annual inspection here: Book Annual Inspection. That’s it! All of your pressing questions regarding emergency shower and eyewash stations have hopefully been answered! Do you think you know what it takes to maintain a compliant emergency shower and eyewash program? With an alarming industry average compliance rate of only 12 per cent, you may be surprised! Take this short quiz to test your knowledge when it comes to emergency shower and eyewash stations. Looking for more information regarding the ANSI standard? 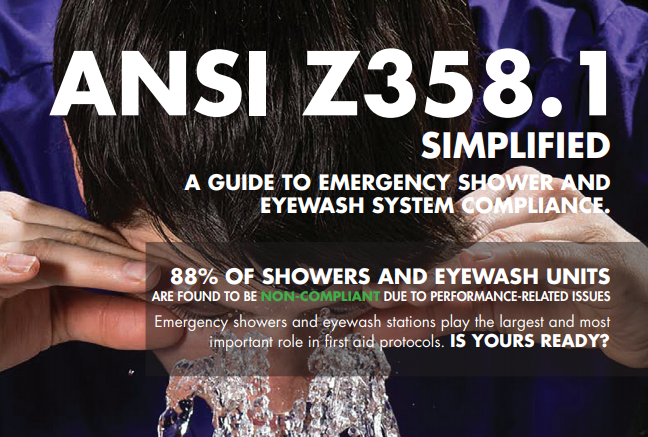 Check out our Simplified Emergency Shower and Eyewash Compliance Guide to learn more.